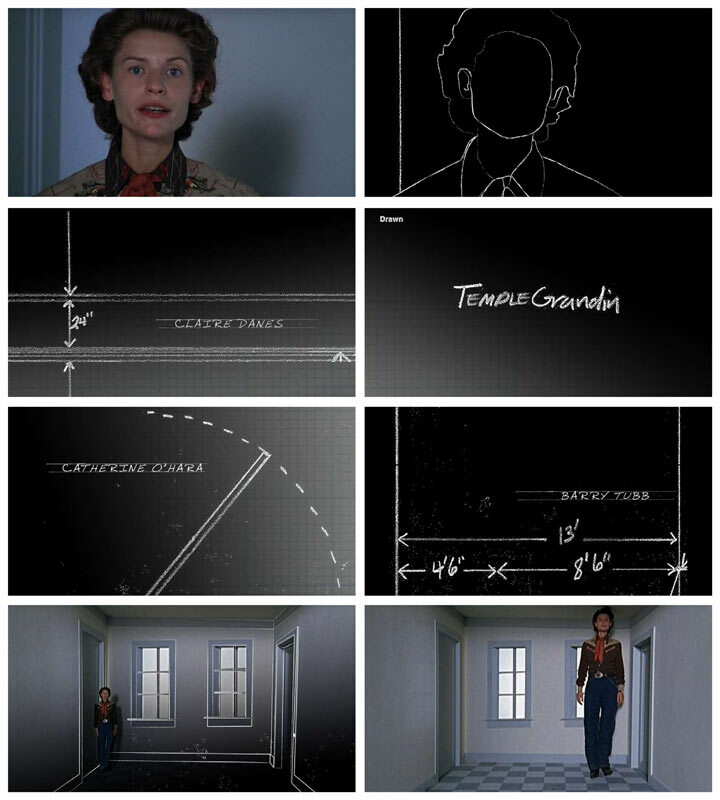 In 2010, Shine's creative director Michael Riley received his third Emmy nomination for Outstanding Main Title Design for his title sequence for the HBO feature Temple Grandin. We visited Riley at the Shine studio in L.A., where he talks about the “golden handcuffs” of optical compositing, and he takes us through the design process of his main titles for Gattaca (1997), and recent movies The Back-Up Plan and Temple Grandin. This interview is the second in a new series of 9 video interviews with title designers, taken from our brand-new Watch the Titles 2 DVD-set, which is out now. Michael Riley is the creative director of Shine, a creative design studio in LA. 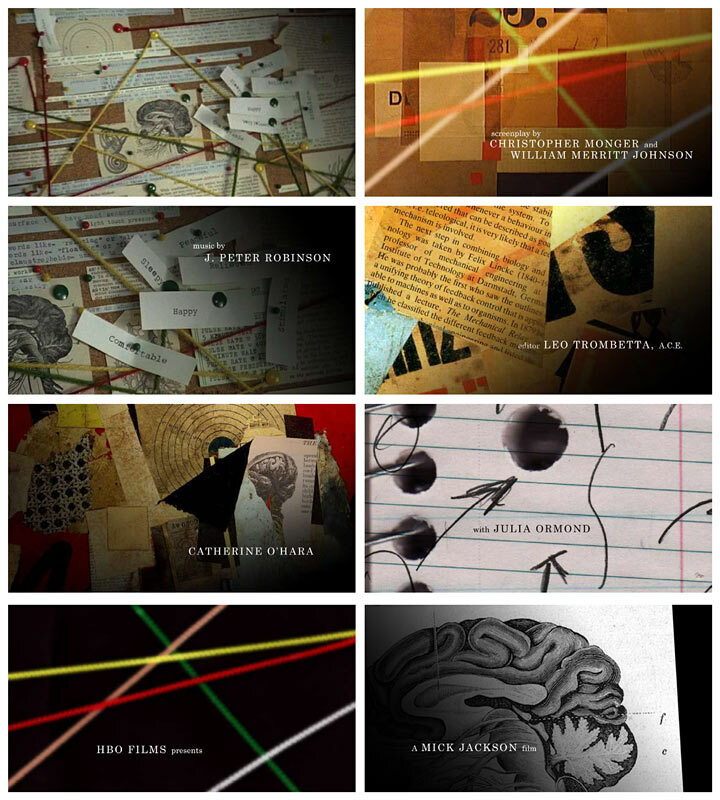 He has been directing and designing film and television main title sequences, theatrical trailers, television commercials and corporate identity packages since 1991. He has designed main title sequences for Traitor, Signs, Mad Money, and television title sequences for Terminator: The Sarah Connor Chronicles, Blade: The Series, Criminal Minds, Karen Sisco, Ally McBeal, Saturday Night Live, and many more. 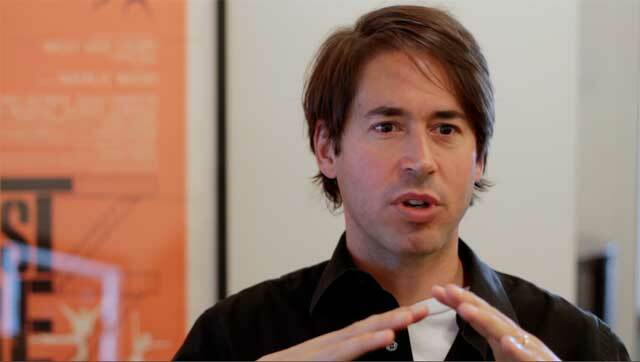 "I was very happy to work for DreamWorks on Kung Fu Panda. Maybe Gattaca, for Andrew Niccol; Band of Brothers for Steven Spielberg; or Standoff for Fox; or 21st Century for The United Nations," Riley answered, when asked what title sequences he is most proud of. Michael Riley, Bob Swenson and everyone at Shine, L.A.
Great to hear about Mr. Riley's experiences as designer, storyteller, marketer, etc. 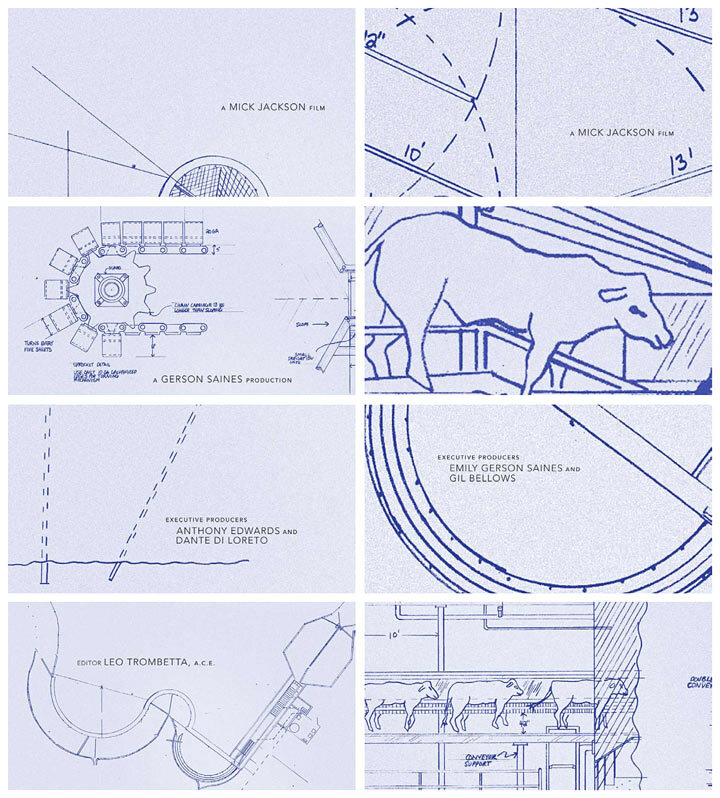 Very interesting to see an example of a title design proposal that was rejected by the film's director and then to see the final, approved title sequence. This designer seems very connected to emotion or compassion in a way that other designers might not show in their work.